The Many Saints of Newark has finally found its Young Tony Soprano. 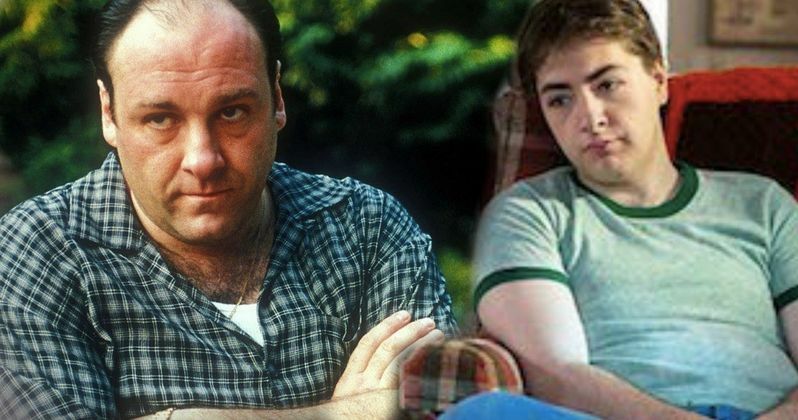 Michael Gandolfini, son of James Gandolfini, who originated the role on the original HBO drama, will take over the iconic character for this look at his upbringing. The Sopranos creator David Chase picked the young Michael Gandolfini for the part, which will offer fans a look at the future New Jersey organized crime family before the events depicted in the series. Alan Taylor will be directing the feature film for New Line. Unlike the upcoming Deadwood movie, The Many Saints of Newark will hit theaters instead of premiering on the pay cable network. James Gandolfini won multiple Emmys, SAG Awards and a Golden Globe for his portrayal of the older Tony Soprano. Gandolfini passed away not long after the end of The Sopranos on HBO. He died back in 2013. This won't be Michael Gandolfini's first turn at acting. He was brought in to perfect his craft with a side role on HBO drama The Deuce. He very much looks like his father, giving the young Tony a very uncanny resemblance to the character's older self. Michael didn't win the role right away. The producers held an extensive audition process before awarding the younger Gandolfini the role. The actor is said to have an immense screen presence, that, matched with the mastery of Tony's mannerisms and his resemblance to his father, made him a standout choice that was hard to beat. None of the other actors coming in were said to have understood the character better. Michael Gandolfini is joining a cast that also includes recently announced actors such as Alessandro Nivola, Vera Farmiga, Jon Bernthal, Billy Magnussen and Corey Stoll. This is being described as an ensemble drama. It is set during the 1960s Newark riots, as Italians and African-Americans fought for control of the city. It is marked as an especially deadly time for gangsters embedded within each group. Deadline announced the casting, and said this about the plot. "The story focuses on Dickie Moltisanti (Nivola), a mentor to young Tony as his own father, Johnny Boy, was grooming his son on a pathway to organized crime prominence. There are expected to be call-backs and shout-outs to numerous other series characters in the film, which is set in the earlier time period." After the announcement was officially made, Michael Ganoldfini gave his take on winning the role, saying this about taking over for his dad. "It's a profound honor to continue my dad's legacy while stepping into the shoes of a young Tony Soprano. I'm thrilled that I'm going to have the opportunity to work with David Chase and the incredible company of talent he has assembled for The Many Saints of Newark." The Sopranos is celebrating its 20th Anniversary this year, and is still considered one of the greatest TV dramas of all time. The show aired on HBO for a total of 6 seasons, spanning the years 1999 to 2007. Altogether, the show won 21 Primetime Emmy Awards and five Golden Globes awards. David Chase has written the screenplay for The Many Saints of Newark, collaborating with series writer Lawrence Konner. Both will serve as producers alongside executive producers Nicole Lambert (Chase Films) and Marcus Viscidi. Deadline was the first to drop this casting announcement.